Long Lost Love – Now Available! Deluxe 10″ Vinyl – Heavyweight gatefold sleeve, plain white inner. Beautiful wide spine. Thanks to Guy Denning at The Granary Studios, Charles Armstrong-Wilson and Nigel Bent for making it happen. Thanks also to Chris Pope for photography and Eden Fish for the design. Thanks Bryan, wicked gig, we had such amazing experience sharing the stage with The Who! The Glasgow crowd were well up for it! Cheers Bryan, we want to do it all again. Scotland was ace! Went to the 100 Club last night to see the Yardbirds, but what a bonus to see 2 great bands in one night. We’ll catch you again somewhere!!!! Just brought the CD!! Cheers Matey! A pleasure to play with The Yardbirds on Friday, such a nice bunch of blokes! We’ll be back up in London in April matey! Cheers! Come to the states! Charlotte/Asheville NC (in the south) would love your sound!!!! You betcha Brandon, would bloody love to come to the US. One day matey! Thanks Gill, hope to see you again soon! Unfortunately I missed you when you supported The Who on tour in Newcastle (got in late) but saw you at Hyde Park and hooked! Great set! Love ‘Living With Mum and Dad’ and ‘Harmonica Song’, is ‘ You Don’t Play Your Records Anymore’ available to buy? I’ve downloaded your album and MONO ep from iTunes. Is all/any of your music available to buy on cd? Look forward to seeing you live soon. Eh up Christopher! Thanks for the kind words matey and cheers for the support! The album and EP are available on CD matey via this link, just hit Compact Disc to buy the CDs. YDLTYRA will be on our next album which we hope is going to be out in Sept/Oct. Watch this space! Cheers Christopher and all the best! Cheers, look forward to hearing your new stuff later this year. Is You Don’t Listen To Your Records Anymore going to be on the new album or is it available elsewhere? Loved watching you on Saturday at the o2. You’re our new favourite band. Will be downloading a few songs of yours to play at mine and Kerry’s wedding in December. Hope to be at the front again sometime watching you all do your thing. Any chance of shows in London? I live in hearts and the current listings are too far away. Got your album and seen you a couple of times supporting the Who. Eh up Simon, cheers for getting in touch! We’re be at The Islington on the 27th of April if you’re about? Cheers matey! Saw you last night in Sheffield, missed the beginning of your set but what we did hear great! definitely add you to my in car play list. Thanks Nicola! Play it loud! We saw you at Local and Live at Calverley Park last weekend and bought both your cds. We are really enjoying them. 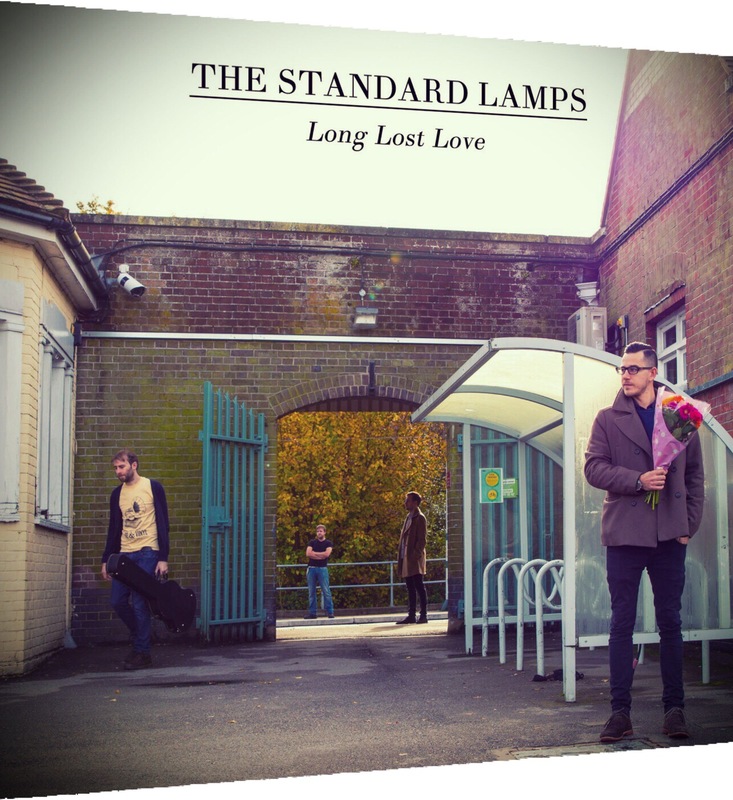 We are having a bit of a disagreement on which train station is pictured on Long Lost Love. I am sure it is Crowborough (where we live) but my husband disagrees. Am I right?!!! I also saw t shirts for sale but did not have enough money on me to buy one. Please can you advise where I might be able to get one. Hope to see you perform again soon and keep making wonderful music. Eh up Laura! Thanks for getting in touch, it is Crowborough station – me (Mike) and James (Bass) grew up there! T-Shirts are off sale at the mo – should be back at some point (not sure when though!). Next local gig is at The Tunbridge Wells Forum on the 21st of December. Get down for a winter warmer!